tax transcripts request form, the public is asked to comment on it. 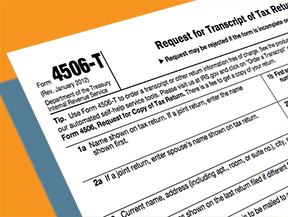 This week the Department of the Treasury invited comments on the 4506-T form. The public is asked to provide feedback on the two-page form before May 31, 2013. 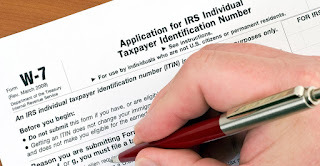 IRS Form 4506-T, and its simpler sister 4506T-EZ, are used by lenders and other benefit providers to request tax transcripts as part of a mortgage loan application or other credit approval. The request for opinions of any shortcomings and suggestions for improving it are part of Treasury's ongoing effort "to reduce paperwork and respondent burden," as required by the Paperwork Reduction Act passed in 1995. It comes only weeks after an historic move by the IRS to accept electronic signatures on the 4506-T, which has eliminated the last paper document requirement within the conventional mortgage loan origination process. Many lenders had put off automating their transaction process because of that lone "wet" signature requirement. This lets them move all transaction documentation – from opening contract to closing –entirely online. This has the potential to produce one of the biggest reductions in paper usage since the 1995 law was enacted. 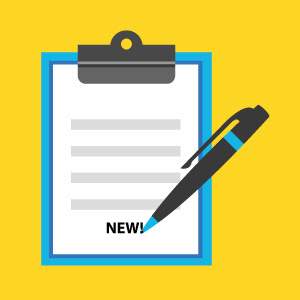 Although the form does not include instructions for electronic signatures, there are now websites specifically designed to handle online processing including electronic signing of all loan documents including the 4506-T. NCS is one of the first to integrate this 4506-T signing capability. The IRS is not anticipating "changes being made to the form at this time." It does expect comments from approximately 720,000 and some may prompt revisions. Cecil Bowman, NCS Senior Vice President for Government and Industry, served 35 years in the IRS before joining NCS in April 2009. He was instrumental in the design and implementation of the IRS Income Verification Express Service (IVES), which has been driving the move to more accurate, expeditious, and economical information technology at the bureau. Since the IVES deployment in October 2006, the IRS has processed more than 75 million of these from companies like NCS. "The IRS processed more than 22.5 million requests for transcripts using the Form 4506-T through IVES units in the fiscal year ending September 30, 2012," he says. "There is room for more improvement with this form. The mortgage industry should have some great suggestions on what should be improved." Comments on the IRS' efforts to improve the 4506-T and reduce paper usage should be provided in writing to Yvette Lawrence, Internal Revenue Service, Room 6129, 1111 Constitution Avenue NW., Washington, DC 20224. More information is available through Martha R. Brinson at the same address, or through her email: Martha.R.Brinson@irs.gov. To explore creating a branded SigningRoom that your business can use for delivering and storing electronically signed documentation including IRS form 4506-T, contact us or call us at 800-582-7066.